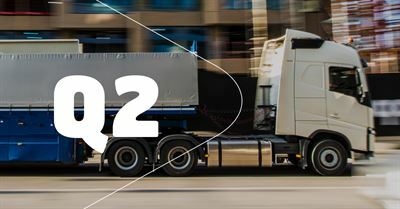 SSAB invites you to a presentation of the quarterly report at 9.30am CEST on Thursday April 25, 2019. The report is scheduled for publication at 7.30am CEST on the same date. The interim report for the first quarter of 2019 will be presented by SSAB’s President and CEO Martin Lindqvist, and CFO Håkan Folin. The press conference will be held in English and live webcast on SSAB’s website www.ssab.com. It is also possible to participate in the briefing via telephone. Venue and time of briefing: World Trade Center (WTC) Stockholm, Kungsbron 1, Conference room Manhattan, 9.30am CEST. + 1 63 1913 1422 (USA).